It must be glamorous being a music festival producer, right?! Truth is, it ain’t easy. 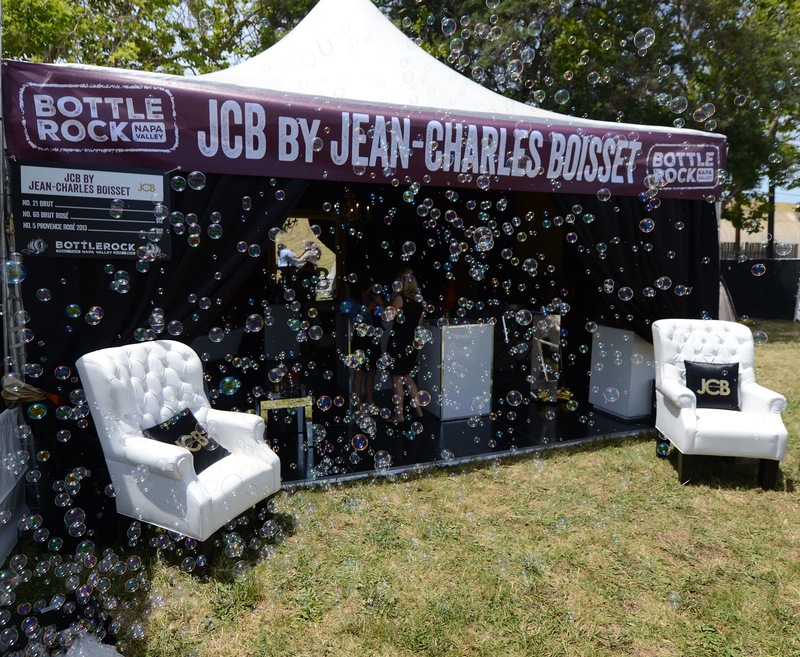 The three local partners of BottleRock Napa, with their entity Latitude 38 Entertainment , have earned their fest fanatic stripes and their award for being selected a Fest300 festival – but it wasn't always smooth sailing. You see, Napa Valley never had a major music festival prior to 2013, BottleRock’s inaugural year. The fest's original founders, however, found out that helming an operation like BottleRock isn't easy breezy. They lost nearly $10 million that first year, so David Graham, a local tech investor, and his Latitude 38 partners bought the rights to the festival, helped pay off some of the debts and, despite some bands and vendors wanting to be paid upfront, pulled-off a successful BottleRock 2014. Then, Napa experienced a devastating earthquake later that summer. Turning lemons into lemonade, Latitude 38 was able to take down three damaged buildings on-site that had negatively affected crowd flow at last year’s festival. 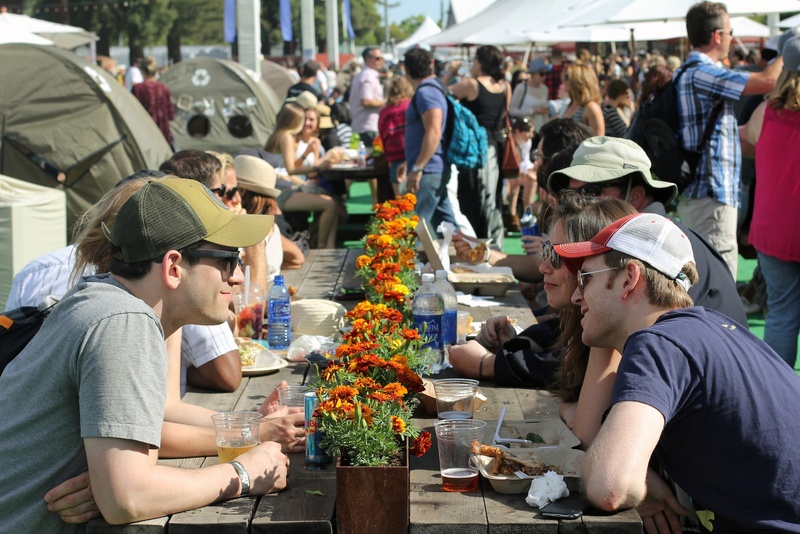 This year, BottleRock had nearly 120,000 people over three days navigating four music stages, a culinary stage, and more than one hundred vendor booths – all of which I was able to walk to and from within a mere 10 minutes. Talk about a feat. And, the consensus from the crowd at BottleRock 2015? 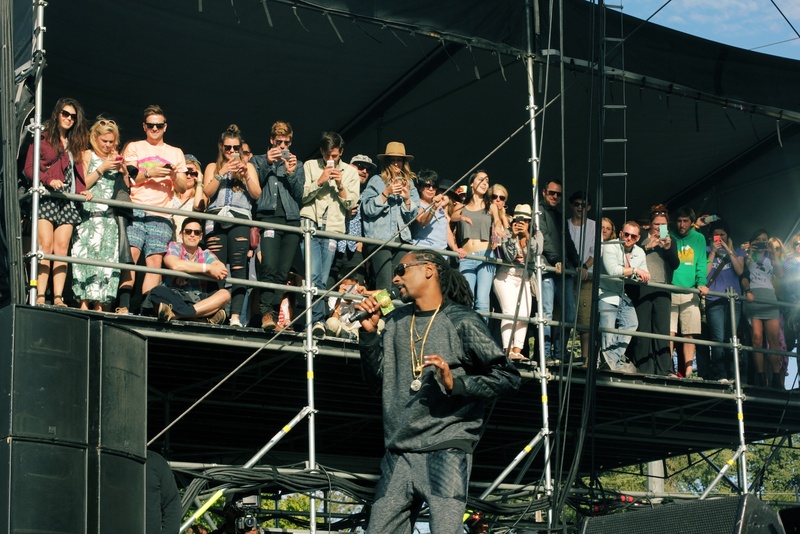 Outside Lands, beware there’s another Bay Area music festival on the rise! With nearly 70 bands – ranging from Robert Plant to No Doubt to Gipsy Kings to Snoop Dogg to Imagine Dragons – BottleRock excels in creating a festival where three different generations can be satisfied. Given the producers’ experience in tech, they’ve impressively used attendee data to curate an idiosyncratic lineup appealing to an eclectic and, generally, older audience with disposable income. But, the festival season isn’t long and the competition is growing with more festivals popping up every year. In order to be a draw for artists and create a connection with them individually, the BottleRock brain trust knew they needed to treat the bands like friends, not royalty. David Graham says they want to meet the bands’ every need: “The band might want to do a private tasting at a winery or what restaurants should they visit while they’re in town.” I talked with my friend, musician Michael Franti who was booked in the ill-fated 2013 inaugural BottleRock, chose not to come back in 2014, and then was a Friday night headliner this year. He told me the producers invited him to do a benefit for his non-profit charity, Do It For The Love , on the night before the festival started, on the stage he would be playing on the very next night. It was a spectacular opportunity for Michael to connect with his most avid fans and non-profit supporters, and everyone got an intimate opportunity to connect with Michael. That kind of customized needs-support is creating bands that are BottleRock evangelists. This bodes well for the festival in the future, as reputation is everything for festivals when it comes to booking talent. I don’t know about you, but there are moments at a music festival when I want a respite from the music, especially if I’m coming for multiple days. Other than once being a spy at a womyn's festival, I’m not sure I’ve ever been to a music festival with such a large proportion of women. 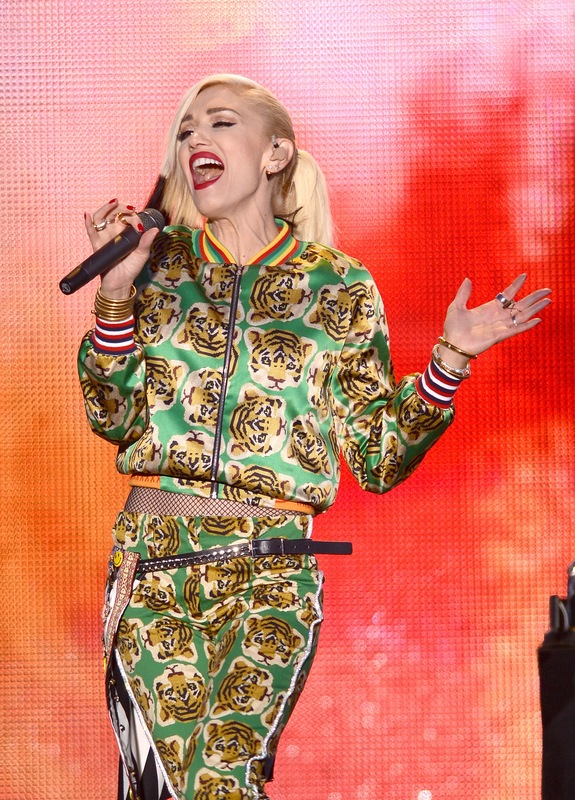 Last year, 60% of BottleRock attendees were women. There are festivals that do food well and there are festivals that do music well, but from my perspective other than New Orleans Jazz Fest, there aren’t that many that do both well. 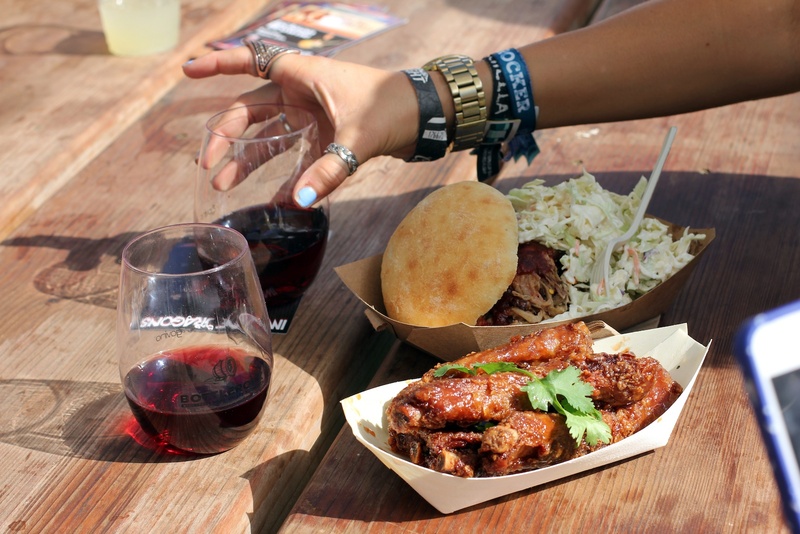 Given its Napa location, BottleRock can tap into the local food, wine, and beer community and offer a wide array of epicurean diversions from the music in their expanded Culinary Gardens. 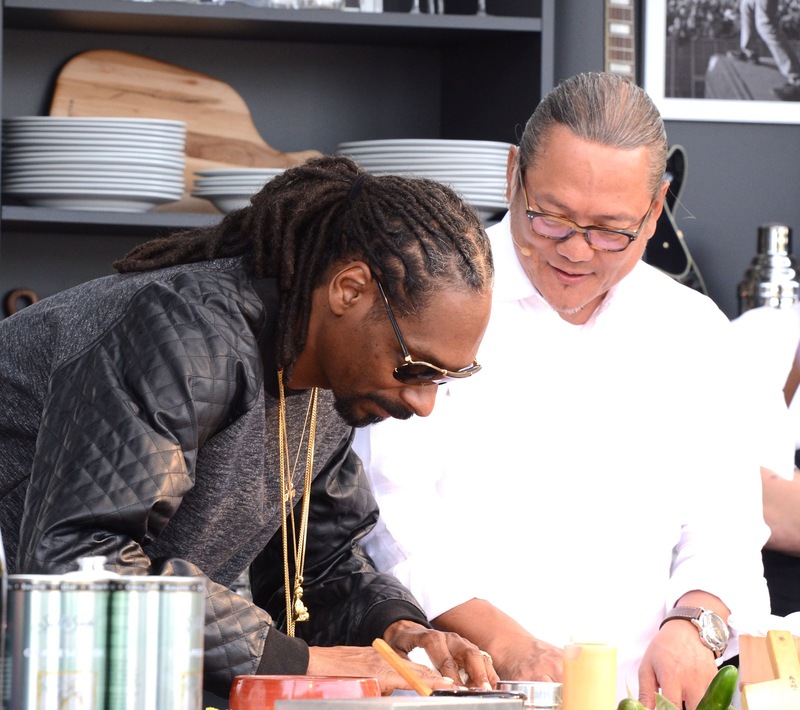 The fest even had a new Williams-Sonoma Celebrity Culinary Stage featuring famous musicians getting on stage and showing their talent in the kitchen (we're talking Snoop Dogg rolling sushi with Chef Masaharu Morimoto) alongside celeb chefs like Dominique Crenn and Michael Voltaggio. There was also a pleasing preponderance of Burning Man-related art around BottleRock, a family-friendly set of experiences in the form of a new Family Zone, and, when in doubt, you could dance to your inner groove angel at the Hush Production's Silent Disco. Thank God, no one got a shot of me doing my 15 minutes of fame in that Hush corral. Given the frothy nature of the Bay Area economic scene, it’s only natural that BottleRock would have generous VIP passes with great benefits. But what set this festival apart was the Platinum Pass that ranged from $2,500 to $3,000 a piece. David Graham elaborates, “You pull up. Get champagne. Front row seats. Get a massage. Get to meet the bands.” I was able to catch the alt-rock band Cage The Elephant in the Platinum seating area which was basically a suite overlooking the stage with free food and drink flowing liberally. The finances of a music festival can be challenging and, just like with a sports arena, sometimes the way to get a venture into the black is to charge the well-off big-time for Platinum Passes or luxury boxes. As I mentioned previously, it's almost surprising that BottleRock was able to pack so many thousands in a place that didn't feel packed at all. Attendees could walk from stage to stage in about three minutes, and see all artists performing on on those stages within ten minutes. Add to that many groupings of the festival's more than 30 featured wineries and breweries throughout the festival grounds, and you could have a fresh glass of (literally) world-class wine or beer in hand anywhere you went. And, of course, with all those beverages flowing, a plethora of restroom facilities are necessary. BottleRock had so many well-placed port-a-potties that it was actually easy to find ones that had barely been used at all. How often can you say you've experienced that at a festival? In sum, I often judge a festival based upon where it takes me on humanist psychologist Abraham Maslow’s Hierarchy of Needs. BottleRock definitely got the physiological and safety needs right with lots of bathrooms, security, spaciousness and a very clean atmosphere. It's hard to argue with the social/belonging needs given how many picnic benches full of happy people there were and the friendly spirit of the audience. If you’re a high-roller, you definitely got your esteem needs met with the Platinum Pass, but overall, given the ease of travel (with the exception of the distance to some parking lots) and gracious staff, everyone felt appreciated. It’s a rare festival that stirs my self-actualization needs at the peak of Maslow’s pyramid and I’m not sure this year’s lineup was going to have me ecstatically dancing. But, making it four-fifths of the way up Maslow’s pyramid is pretty impressive for a third year festival. Good on ya, BottleRock!